An HTML Media Capture Candidate Recommendation was published on 31 August 2017, no further normative changes have been made since then. Errata for this document are recorded as issues. The implementation report produced for this version demonstrates there are two independent interoperable implementations. This document was published by the Device and Sensors Working Group as a Proposed Recommendation. This document is intended to become a W3C Recommendation. Comments regarding this document are welcome. Please send them to public-device-apis@w3.org (subscribe, archives). The W3C Membership and other interested parties are invited to review the document and send comments to public-device-apis@w3.org (subscribe, archives) through 26 December 2017. Advisory Committee Representatives should consult their WBS questionnaires. Note that substantive technical comments were expected during the Candidate Recommendation review period that ended 30 October 2017. This extension is specifically designed to be simple and declarative, and covers a subset of the media capture functionality of the web platform. Specifically, the extension does not provide detailed author control over capture. Use cases requiring more fine-grained author control may be met by using another specification, Media Capture and Streams [ MEDIACAPTURE-STREAMS ]. For example, access to real-time media streams from the hosting device is out of scope for this specification. The key words MUST, MUST NOT, and SHOULD are to be interpreted as described in [ RFC2119 ]. The input element, its type attribute, HTMLInputElement interface, accept attribute, File Upload state, enumerated attribute, missing value default, invalid value default, and reflect are defined in [ HTML51 ]. The [CEReactions] WebIDL extended attribute is defined in [ custom-elements ]. The VideoFacingModeEnum enumeration is defined in [ MEDIACAPTURE-STREAMS ]. 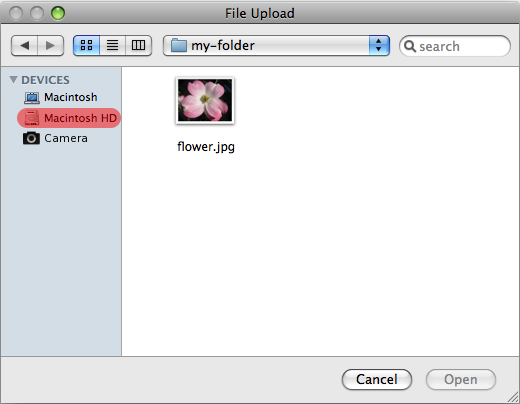 The FileList interface is defined in [ FILE-API ]. In this specification, the term capture control type refers to a specialized type of a file picker control that is optimized, for the user, for directly capturing media of a MIME type specified by the accept attribute, using a media capture mechanism in its preferred facing mode. The preferred facing mode is a hint for the direction of the device's media capture mechanism to be used. select the exact media capture device to be used if there exist multiple devices of the same type (e.g. 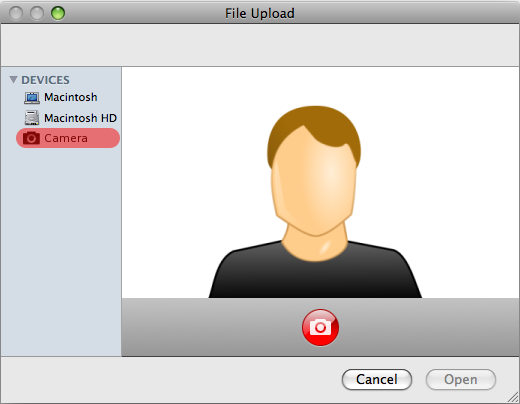 a front-facing camera in addition to a primary camera). disable sound capture when in the video capture mode. This specification builds upon the security and privacy protections provided by the <input type="file"> [ HTML51 ] and the [ FILE-API ] specifications; in particular, it is expected that any offer to start capturing content from the user’s device would require a specific user interaction on an HTML element that is entirely controlled by the user agent. Implementors should take care to prevent additional leakage of privacy-sensitive data from captured media. For instance, embedding the user’s location in the metadata of captured media (e.g. EXIF) might transmit more private data than the user is expecting. The capture attribute is an enumerated attribute whose state specifies the preferred facing mode for the media capture mechanism. The attribute's keywords are user and environment, which map to the respective states user and environment. The semantics of the states user and environment mirror the similarly named enumeration values defined in VideoFacingModeEnum. In addition, there is a third state, the implementation-specific state. The missing value default is the implementation-specific state. The invalid value default is also the implementation-specific state. If the user agent is unable to support the preferred facing mode, it can fall back to the implementation-specific default facing mode that maps to the implementation-specific state that indicates the implementation is to act according to its default behavior.